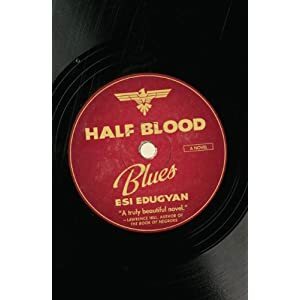 Congratulations to Esi Edugyan, a fellow Victorian, for picking up one of Canada’s most prestigious literary awards for her novel Half-Blood Blues. Last night, a surprised Edugyan took home the $50,000 Scotiabank Giller Prize despite being up against some serious contenders including Michael Ondaatje’s The Cat’s Table. It must be a particularly sweet win for Edugyan given earlier traumas with Key Porter Books. In addition to The Giller, Half-Blood Blues is also short-listed for the Man Booker Prize, The Governor General’s Literary Award (Canada) and The Rogers Writers’ Trust Fiction Prize. Sounds like Ms. Edugyan has pretty much knocked everyone’s socks off. Can’t wait to read Half-Blood Blues.